It’s been one hell of a month for K-Pop boy band BTS. First, it was their showstopping performance at the AMA Awards, where the Hollywood elite warmed to their hit single: DNA. They also just appeared on The Ellen DeGeneres Show, marking their first U.S. daytime television appearance, which aired in America today. We’re a little behind in the UK, so it’ll be shown on ITV2 in a few months time. 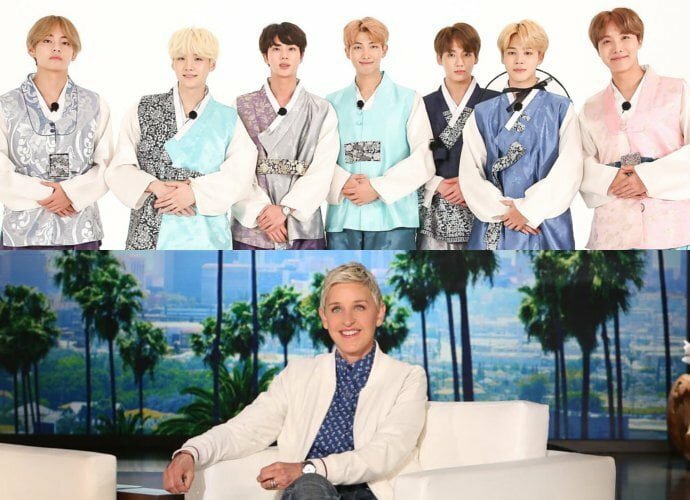 After an interview with the talk show favourite, they performed their latest single ‘Mic Drop’ to a delighted BTS ARMY (the band’s fan base widely recognised for their die-hard support). To some people, K-Pop may not appeal; admittedly hearing lyrics you don’t understand, apart from the occasional phrases in English, doesn’t sound engaging at first. You’ll notice they touch on this in the interview with Ellen. There was also ‘Gangnam Style’, which was irritatingly catchy. However, I’m confident that in a year’s time you’ll be well acquainted with the Bulletproof Boy Scouts.